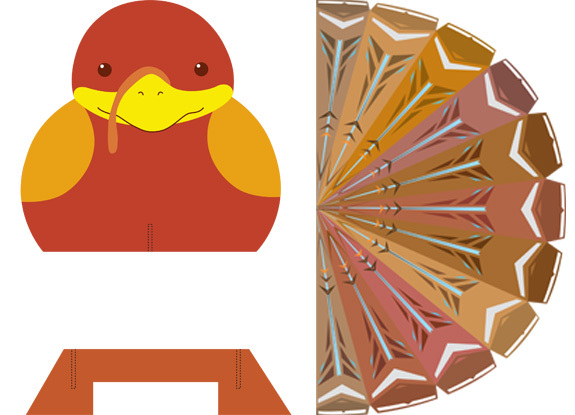 Brighten up your Thanksgiving Day with this Thanksgiving Turkey! No, not that one turkey. One that will literally brighten up the room! Print the pictures and paste them onto a thin cardboard, from a shoebox for example. DO NOT cut the paper before pasting onto the cardboard, or it’ll be more difficult. Then cut each piece out, and fit them together with the stand. Once you’re done with that, the next step is the electronic circuit that will go in between the body and tail under the stand. Create the LED circuit on your breadboard following the directions in the Discover Electronics manual. Place the breadboard between the body and the tail of the turkey. Angle the LEDs so that they shine off of the tail. 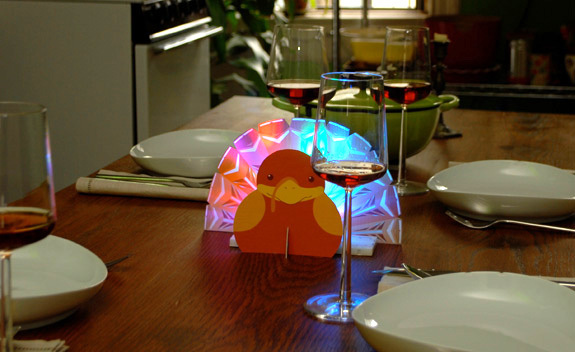 Choose all different colors of LEDs to make the turkey more colorful. 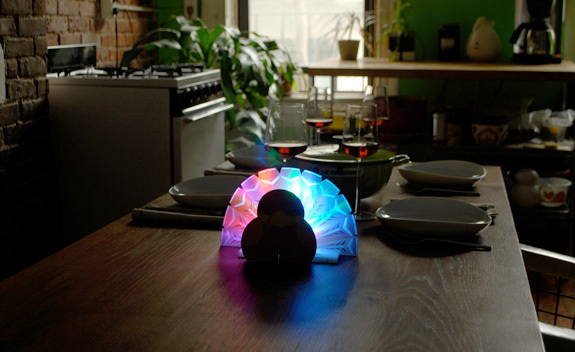 Now you have a beautiful, light-up turkey display for your Thanksgiving. This entry was posted in Project on November 23, 2009 by Phil Lee.